International Conference on Innovations in Electronics and Communication Engineering will live from 2nd to 3rd of August 2019 at Guru Nanak Institutions, Hyderabad. 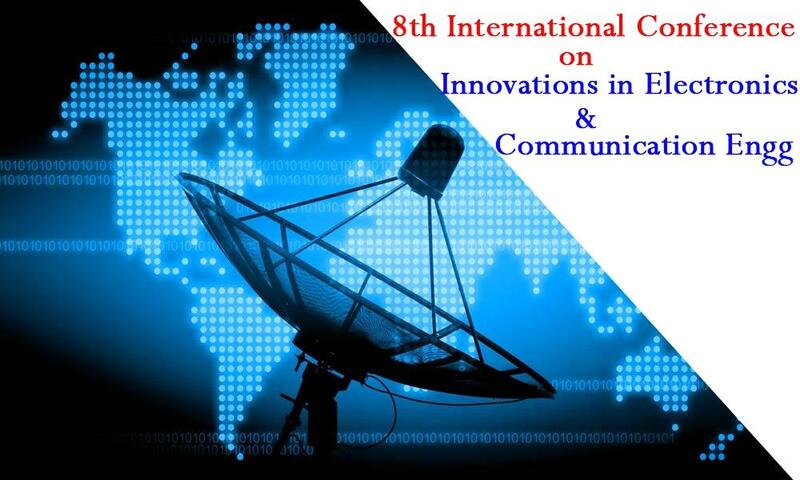 8th International Conference on "Innovations in Electronics and Communication Engineering (ICIECE-2019)” which aims to provide an opportunity for researchers, scientists, technocrats, academicians and engineers to exchange their innovative ideas and research findings in the field of Electronics and Communication Engineering. The event will live from 2nd to 3rd of August 2019 at Guru Nanak Institutions, Hyderabad. The conference will provide an interactive platform for the participants and other delegates from the academic and industry segments across India and globe to share their research experience, experiment breakthrough or vision-trends. For more information, you can reach us at 8096609843 or at iciece@gniindia.org.